A trip to the Galapagos Islands is a bucket list item for an avid photographer, but when Tom Sheckels arrived there in 2005 to explore the scenery on a Linblad photographic excursion, he also discovered a new career path. At that time, Tom was a serious photography hobbyist about to retire from the environmental engineering field. The leader of the Galapagos group took an interest in Tom’s work and told him about a niche stock photo agency that specializes in marketing the kind of high resolution, long and narrow shots that Tom had mastered, Panoramic Images Inc. in Chicago. When he returned home and contacted them, Panoramic Images Inc. was very interested in offering Tom’s images for special applications like billboards, textbooks, and travel brochures to their many clients looking for large pictures. He signed on as a contract photographer and since then hundreds of his shots have been licensed thousands of times as art prints, wall covering murals, stretched canvasses, advertising, trade shows, and in web and print publishing. Panoramic Images also partners with Art.com, FineAmerica.com, and AllPosters.com which offer people alternate ways to purchase Tom’s work. As Panoramic Images Inc. opened a new world for Tom, he brought the world to them. Through the years, he and his wife Lydia have traveled to dozens of locales across the globe. He is especially proud of the large landscape and nature shots he captured during forays to Africa, China, Russia, Papua New Guinea, Svalbard, and Antarctica. In addition to exotic images of foreign lands, Tom also trained his lens on numerous American cities, including several breathtaking photos of Philadelphia’s skyline that have been used for advertising by Coors Beer, Sprint, and even included in the television series “House.” Culling from thousands, Tom now has almost 800 exceptional shots in circulation through Panoramic Images and is looking to build that library to 1,000. He will be taking shots in Central and South America later this year, and next summer he and his wife have plans to go to Greenland. Close to his heart, Tom has also developed a catalogue of photographs that celebrate Moorestown, where he and his family have lived for many years. In addition to prints, Tom offers these iconic township views on notecards and other specialty items that are for sale in various Moorestown shops, including Moorestown Hardware, Health Haven, and Navy Blue Home & Gifts. For the past several years, Tom has had numerous pictures in the popular National Geographic Desk Diaries; 11 of his photos were included in one year’s edition. He is also at work on a self-published coffee table book on Africa Wild Life that when opened flat will be 26 inches wide to optimize his panoramic views. And while Panoramic Images has exclusive commercial rights to Tom’s photos, he can also market them to individuals through his own website, www.toms.pictures. People who are interested in buying or discussing his photos can email him at tom@toms.pictures. Tom is past president of the International Association of Panoramic Photographers, a group whose mission is to educate, promote, and expand public awareness about panoramic photography, and to support its members through the exchange of ideas and information. Tom notes that while digital photography has made panoramic imaging more accessible to hobbyists, the kind of high resolution shots that can be used in commercial applications still need to be executed by a professional. A great deal of skill is needed to competently “stitch” the sequence of photos together that comprise a panoramic shot—especially when dealing with moving subjects like animals, waves, or crowds. Tom has also generously donated his photographic skills to the MBA, and is responsible for many of the association’s vivid shots of events, Spotlight recipients, and other occasions. Additionally, Tom served as an officer on the MBA’s Board of Directors for seven years, and has volunteered countless hours in other capacities for the betterment of Moorestown. 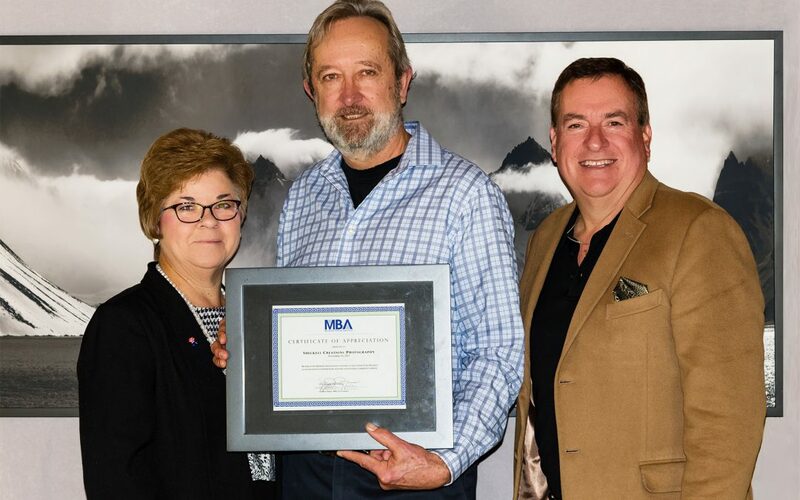 The MBA salutes Tom as a unique entrepreneur and for his many contributions to the community.